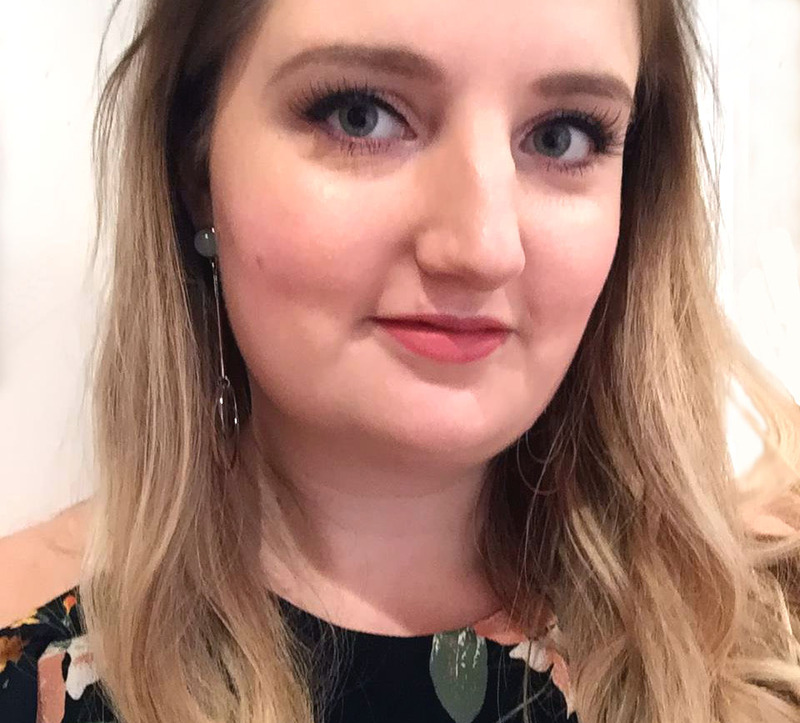 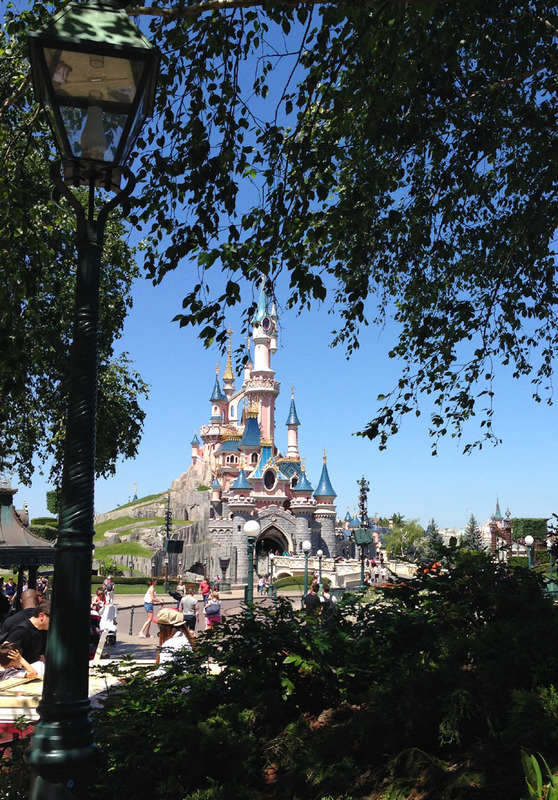 I recently arrived back from Disneyland Paris only to be greeted by grey skies, rain and no music playing in the streets (why is life not more like Disney eh?). 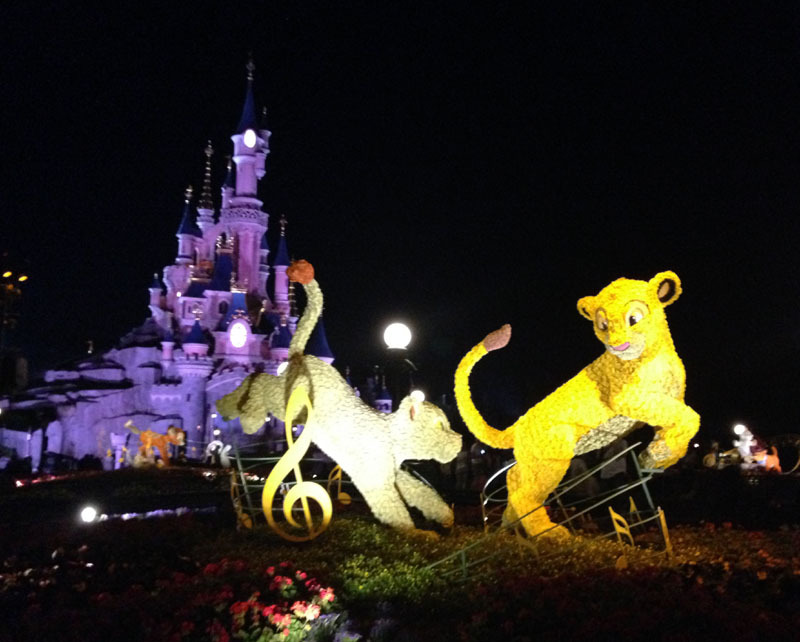 So to cheer myself up I thought I’d share some of my Disney photos. 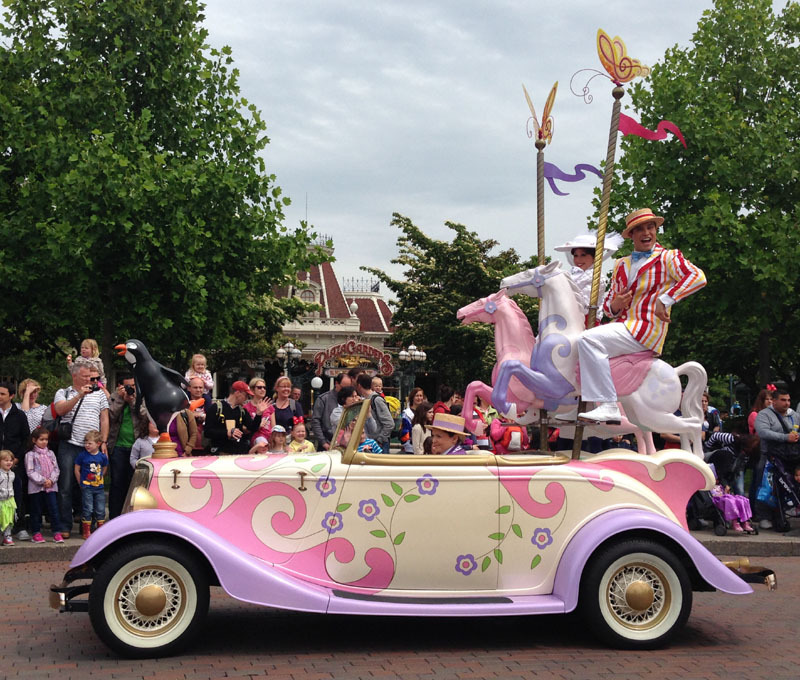 I took hundreds of them of course, so this is just edit number one, which focusses on the new springtime celebrations that are going on in the park at the moment. 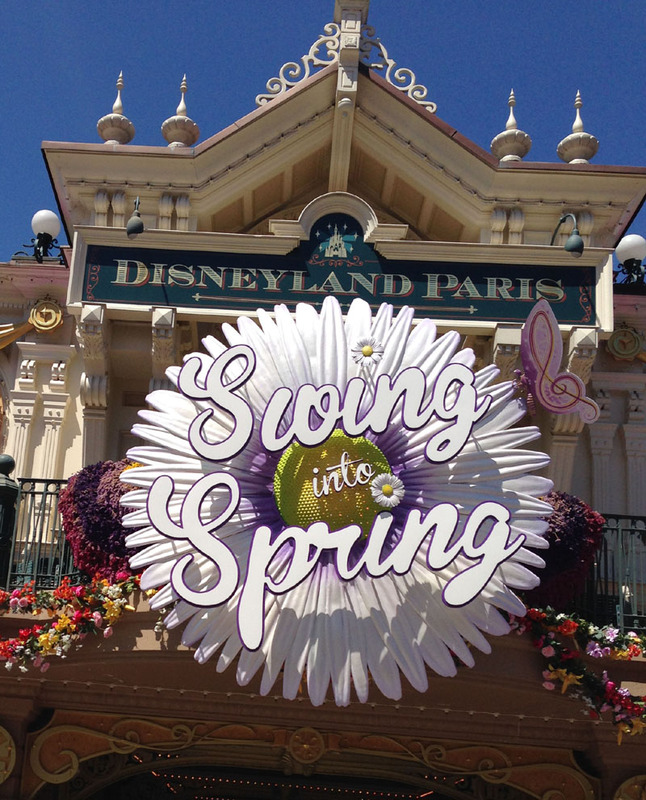 “Swing into Spring” will be on until late June, when I assume they’ll replace it with something new and equally lovely for summer. 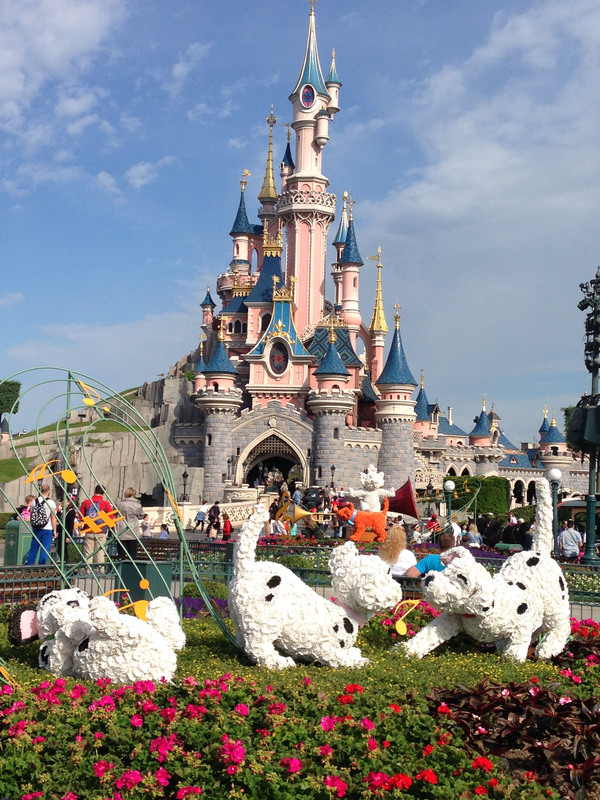 The park entrance and the castle area are decked out with flowers, floral sculptures and topiary for the season and I love especially love that some of the older animal characters are getting some airtime (Bambi, Aristocrats and 101 Dalmations)! 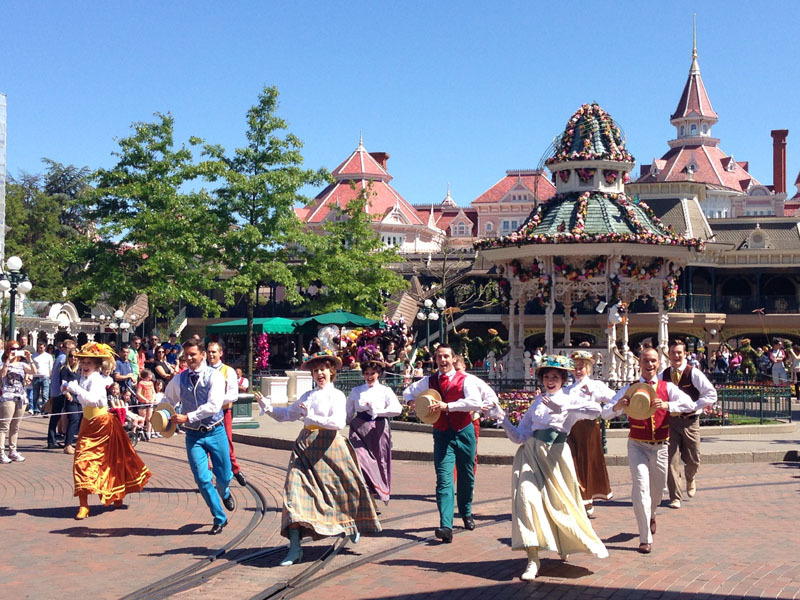 From Saturday to Wednesday there is a mini “Welcome to Spring” event taking place by the Main Street USA bandstand 5 times a day, where Victorian-dressed dancers perform show tunes such as Spring Spring Spring from Seven Brides for Seven Brothers. 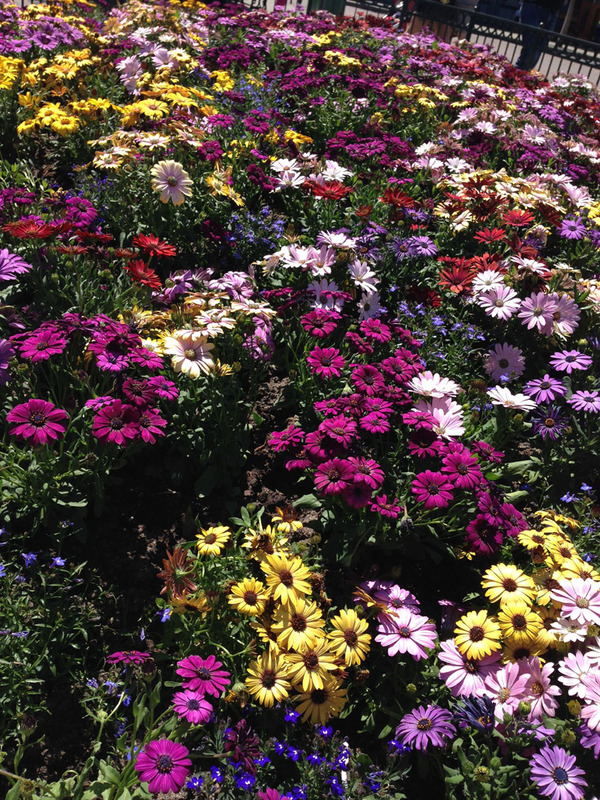 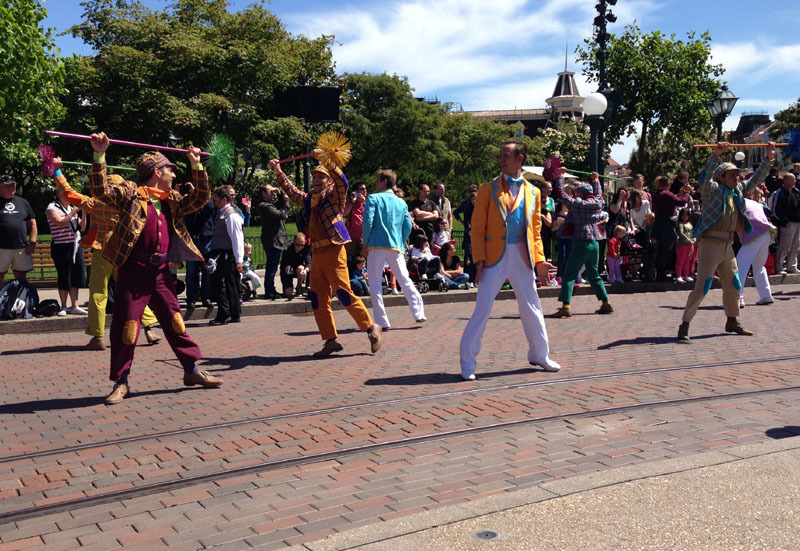 Then from Wednesday to Saturday the more extravagant Spring Promenade takes place 5 times a day. 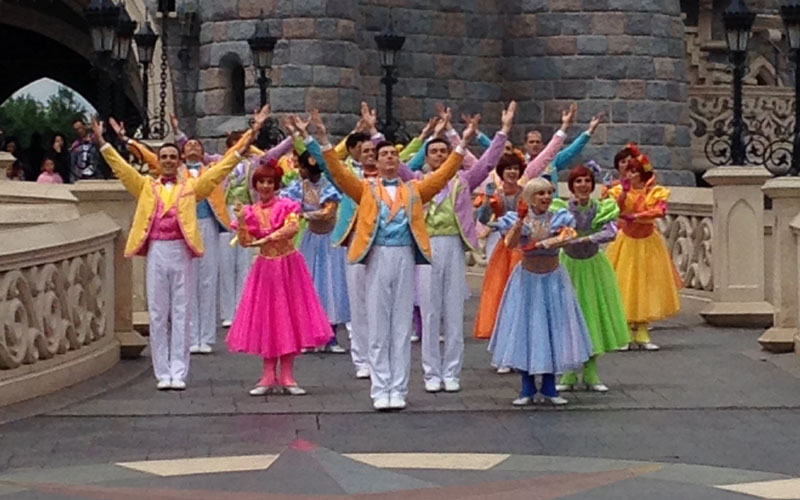 This vibrant show seems to spring out of nowhere as brightly-coloured dancers appear and dance circles around the central plaza in front of the castle. 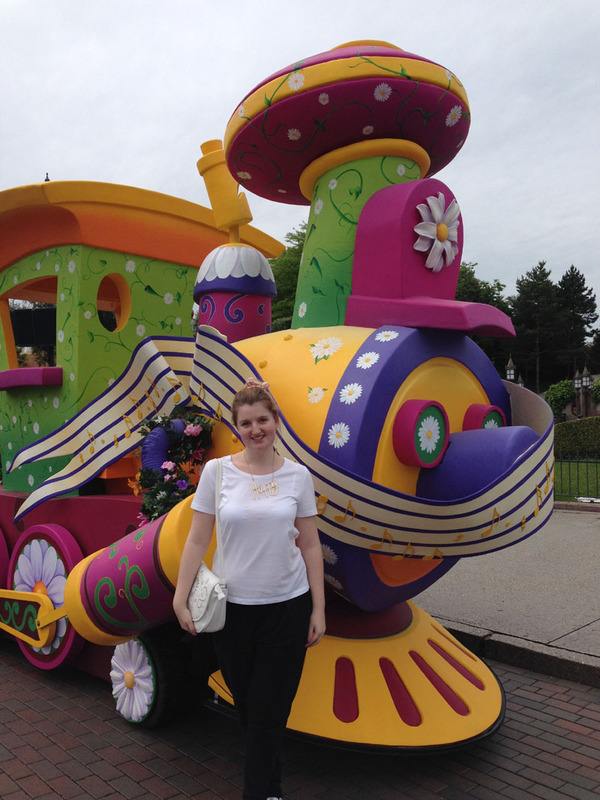 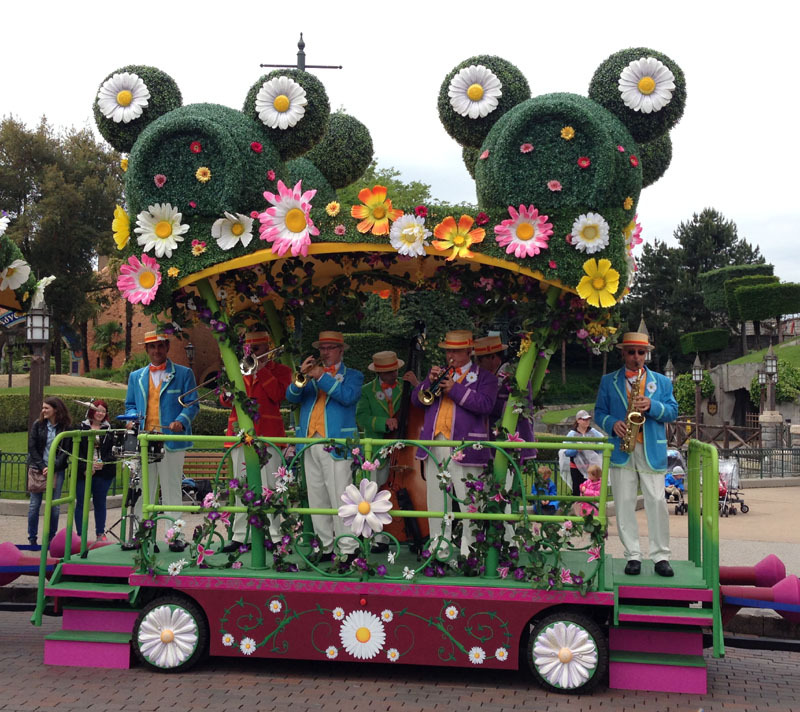 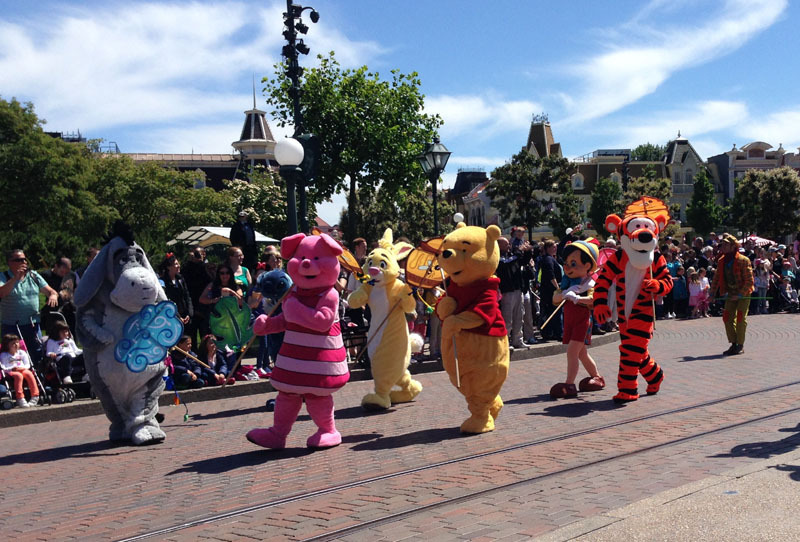 Musicians turn out to play on a rainbow coloured train and the Castle Stage and there are also various characters in colourful cars or with spring accessories. 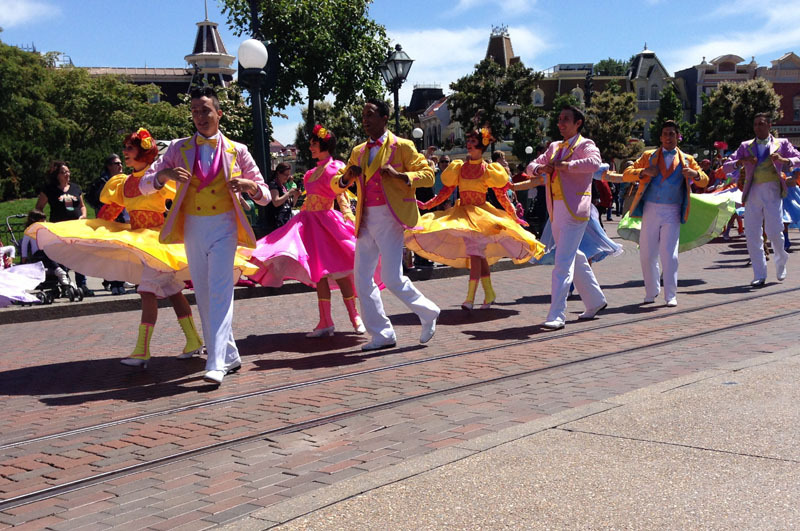 Alongside the main theme song “Spring Fever” (which I didn’t recognise but was so catchy that I know it word-for-word now) the Promenade was also full of Mary Poppins’ classics such as Let’s Go Fly a Kite, Supercalifragilisticexpialidocious, Jolly Holiday and Chim Chim Cher-ee. 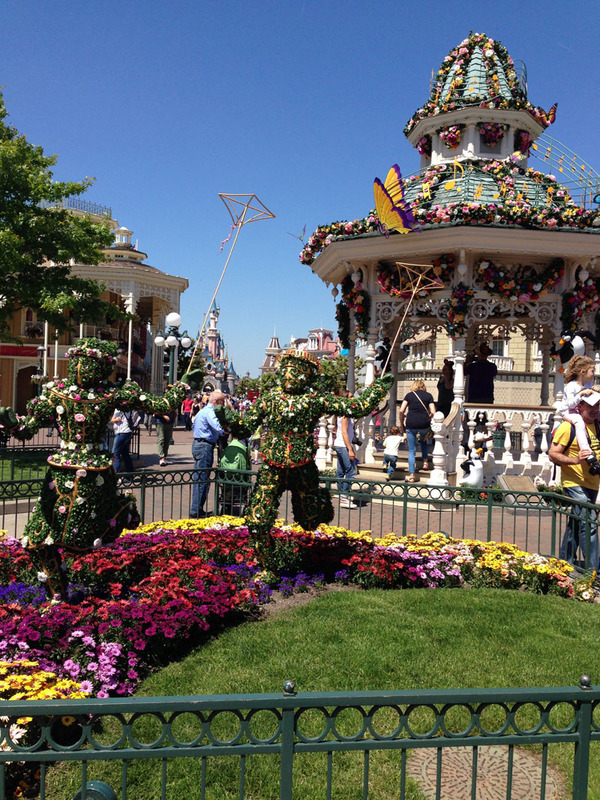 I loved seeing Mary Poppins as the star of the show for spring, with the Poppins-themed topiary and all this music in the promenade. 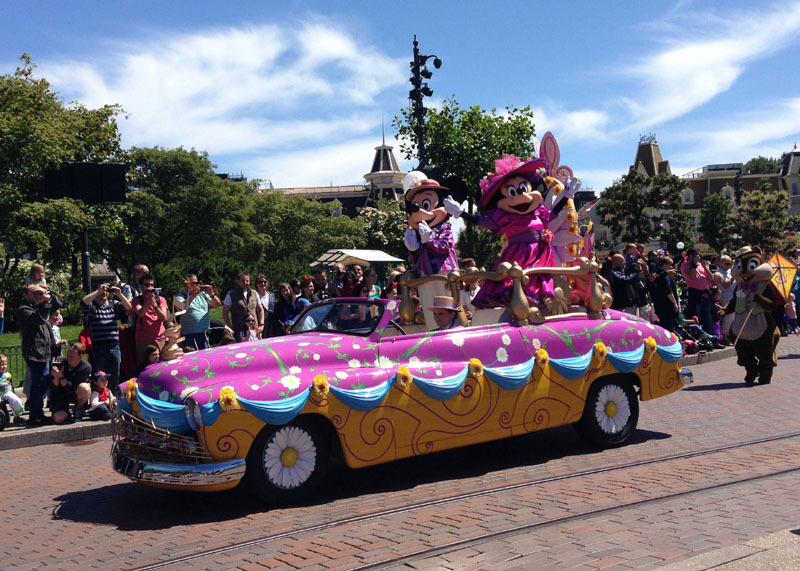 Spring really is a fabulous time to visit!